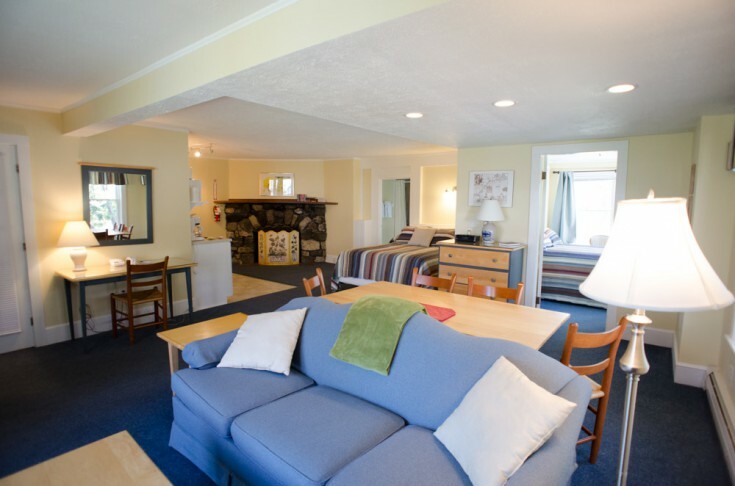 loopPREV	Bullfrog - Suite 300	NEXT! 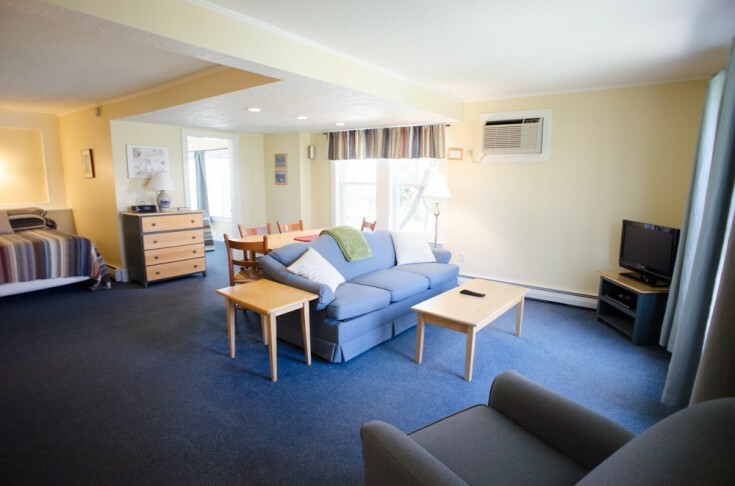 Room 300 is a two-room unit located on the first floor of the Bullfrog Cottage and is the largest in this building. 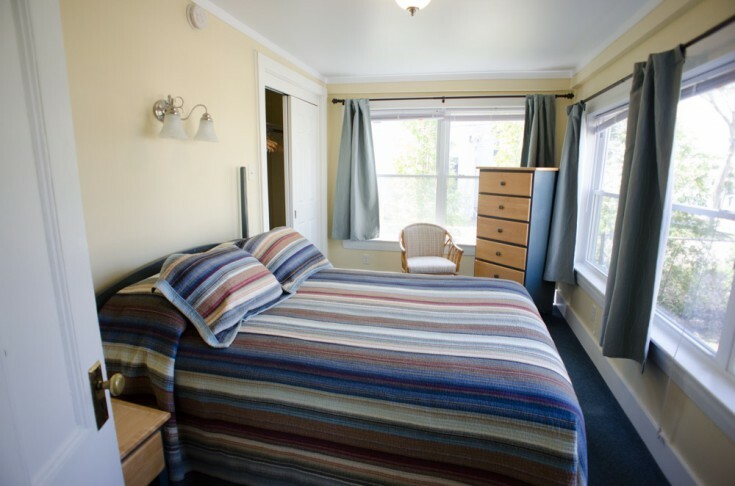 It can accommodate four guests with its queen bed plus a double bed in a separate room. 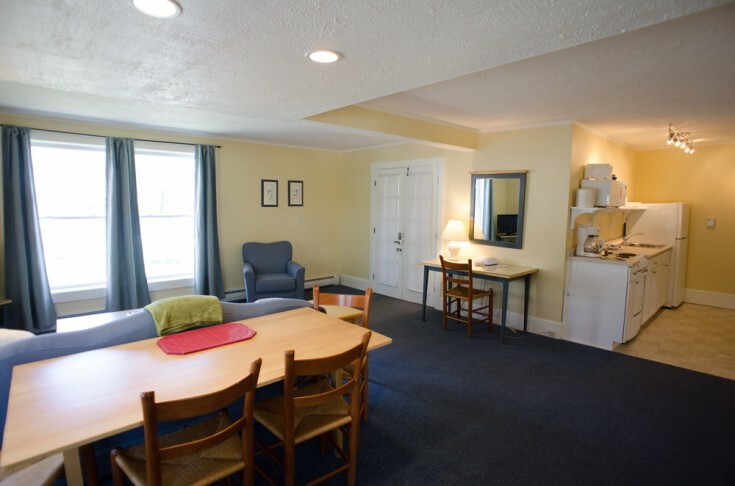 This is a large, spacious unit with a couch and easy chairs, dining table, bay windows, and shaker style decor. 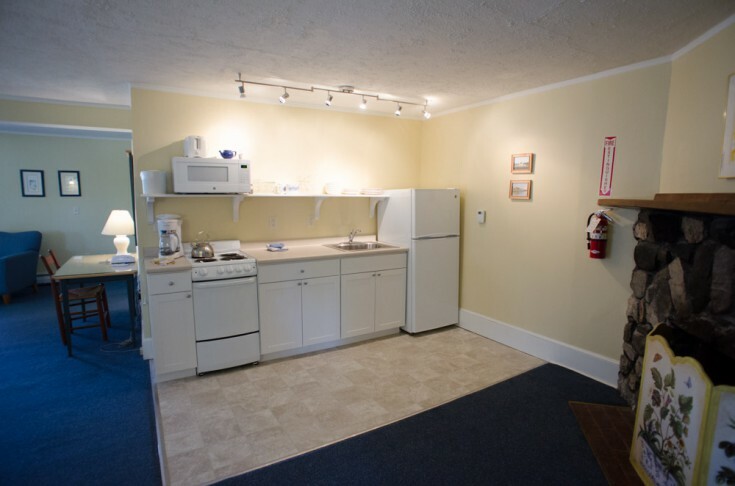 A larger kitchenette provides all that you need for an extended stay in this room. 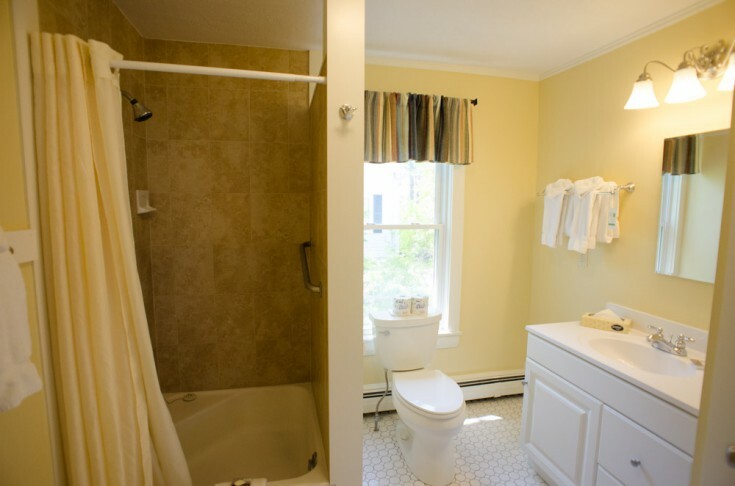 The bathroom provides a shower but does have a low rise tub for smaller children to bathe in.